Very similar to our personal finances, discipline and planning should be the cornerstone of a business budgeting process. Every organization, no matter the size should know why it exists and what it hopes to accomplish. This is articulated through a written Vision and Mission Statement. A Strategic Plan is the HOW the organization plans to achieve its mission. Annual business goals are the steps an organization takes to implement its strategic plan and it is these goals that need to be funded by the budget. Goals need to be developed and there needs to be accountability for achieving goals. This is typically the responsibility of the management team, board or business owner. The budget provides the financial resources to achieve goals. 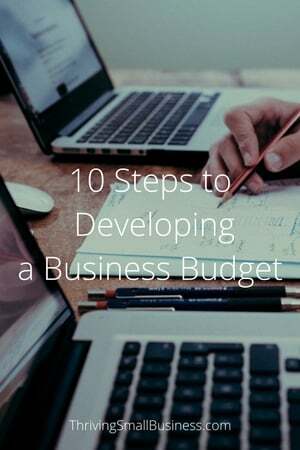 For example, if your organization has outgrown its facility and there is an objective to increase space, there needs to be dollars budgeted to expand or move the business operations. Variable costs are costs that fluctuate from month to month, supply costs, overtime costs, etc. These are expenses that can and should be budgeted and controlled. For example, if higher Christmas sales drive overtime costs temporarily, those costs should be budgeted. Goal related projects should also be given budgets. Each initiative should have projected costs associated with the goals. This is where the cost of implementing goals are incorporated into the annual budget. Projections of costs should be identified, laid out and incorporated into the departmental budget that is responsible for completing the goal. A budget review committee should meet on a monthly basis to monitor performance against goals. This committee should review budget variances and assess issues associated with budget overages. It is important to do this on a monthly basis so there can be a correction to overspending or modification to the budget if needed. Waiting until the end of the year to make corrections could have a negative affect on the final budget outcome. Budget variances should be reviewed with the responsible department manager and questions should be raised as to what caused the variance. Sometimes unforeseen situations arise that cannot be avoided so it is also important (just like your personal budget) to have an emergency fund to help with those unplanned expenditures. [WORDPRESS HASHCASH] The poster sent us ‘593579840 which is not a hashcash value. Really nice pattern and fantastic written content , practically nothing else we need : D.
[WORDPRESS HASHCASH] The poster sent us ‘2047487104 which is not a hashcash value. I like Your Article about Organizational budget process Perfect just what I was searching for! . [WORDPRESS HASHCASH] The poster sent us ‘1456544896 which is not a hashcash value. It’s really a perfect timing since we’re planning to put up a food product business. Your article for Organnizational Budget Process will definitely help us. Thanks.